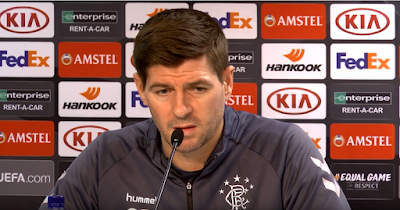 Steven Gerrard has today partially back up Ibrox Noise’s assertion of time frame over just how long we can wait before judging that Rangers have truly turned a corner in terms of results and consistency. We have always felt on the site that until we go six months of consistency and challenging at the top of the SPL, we can’t really make any judgements, but Gerrard has gone further. 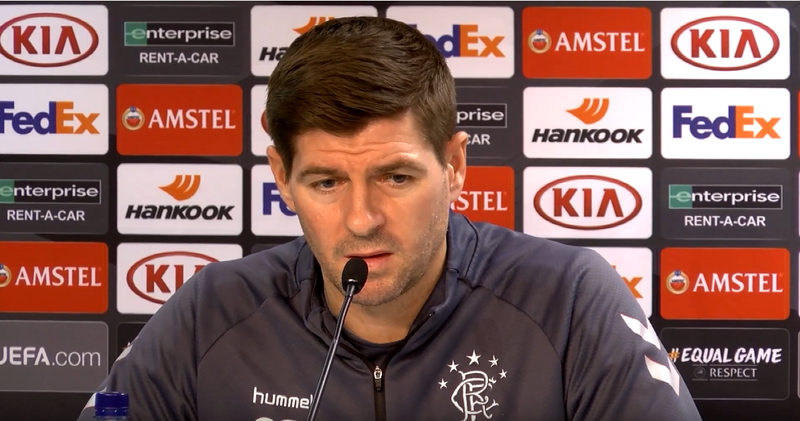 Speaking before tomorrow’s crunch clash with Villarreal, the manager dismissed the idea of Ibrox being a ‘fortress’ until a full season has elapsed and the consistency and results remain. Naturally, any team is judged by their home form – it’s the bread and butter of basic performance, and we can’t disagree with Gerrard in saying we should judge ours next May. We still think six months is a fair amount of time to form opinion on it though, so by early February while we may have an idea or two, we would equally say the end of the season is the final judgement. On that front though things are decent at present. If we can beat the timmys next month he must be up for manager of the year and Morelos if he can score against them for player of the year. I can see 55 getting closer by the day WATP. So one win and a goal against them makes them the best. A mean for God's sake we are only telling truth with refs having it in for us all season. As some posts say on FF get the lawyers on this PRONTO style and take these timmy refs to task. The SFA we should tell them to bolt because WATP. Joe90 don't you think we should know who it is names wise who decided to slap us down with those 5 charges. As Ally once said who are these people. Well I want to know and so should all our fans let's bombard the SFA and get answers guys WATP. Acid it's not just rangers, Clarke got done at Killie for feck all too. It's always been the way. You can't just start releasing statements saying the ref is biased. Off topic here guys but the game on Sunday the tramps v sheep a know we can't stand any of the 2 of them but if we had to pick one to win that cup who do we pick a want the sheep to win . I could not stomach them winning another trophy as that would be 7 in a row so am shouting on the sheep anyone else. Is that even a question worth asking?